NEW ORLEANS – A waiter is suing a local restaurant for failure to provide a safe work environment after he was physically attacked while closing down the Grand Isle Restaurant. Joseph Jones filed suit against Eric Smith and Grand Isle Restaurant in the Orleans Parish Civil District Court on Dec. 4, 2013. Jones claims that on Dec. 5, 2012 he was closing down the outside patio of Grand Isle Restaurant where he was working as a waiter. Jones alleges that Eric Smith started talking to him, pretending to be a past customer before he physically attacked Jones. During the attack, the restaurant was closed and the only unlocked door was located on the opposite side of the restaurant. The locked doors left Jones no way to retreat back into the restaurant and avoid or limit his injuries. He suffered multiple injuries including a broken nose. Eric Smith is accused of causing these injuries to Jones. Grand Isle Restaurant is accused of failure to provide a safe work environment by placing him in a vulnerable position with no access to escape, and failing to use due diligence. The suit also names any insurance company covering Eric Smith or Grand Isle Restaurant. An unspecified amount in damages is sought for loss of income, physical pain and suffering, emotional upset and distress, disability and medical costs. 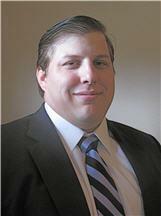 Jones is represented by Mandeville-based attorney Michael S. Donovan. Grand Isle answered by alleging all charges against them were untrue on January 15, 2014. Grand Isle is represented by Henry P. Julien of the Kullman Firm. The case has been assigned to Division M Judge Paulette R. Irons.